What is an Anti-inflammatory Diet? Here, we dive deep into the meaning and causes of inflammation, plus get a list of anti inflammatory foods and what foods to avoid. **This post originally appeared in November 2015. It was updated in July 2017 to reflect new information, tips, a list of anti inflammatory foods and a helpful quiz. When I was first diagnosed with PCOS and Leaky Gut, my doctor recommended I eat an anti-inflammatory diet. I honestly had no idea what that was–or what inflammation even meant, for that matter. After a few Google searches and reading articles online, I turned to the amazing Clean Cuisine Book for help. My eyes were opened! Within a week, my digestion had improved by nearly 100 percent and I truly felt better, lighter and so much less bloated. And the change in my diet wasn’t even that drastic. I couldn’t believe how simple and powerful the anti-inflammatory diet was. My friends and family are always asking me “can you eat this?” and the truth is, an anti-inflammatory diet isn’t totally restrictive. You don’t have to completely cut out entire food groups to reduce inflammation in your body. Instead, it’s about eating more of the good (real, whole food) and simply less of the bad (processed, refined junk). The 80-20 rule at its best. And now, nearly three years later, I can proudly say that following the anti-inflammatory diet is the number one thing I did to reverse chronic diseases like IBS, hormonal imbalances, and hypothyroidism. Check out the article I wrote for Healthline HERE to get the inside scoop on how reducing inflammation healed my gut! You’ve likely heard the term inflammation thrown around before, but if (like me), you’re not sure what inflammation means, this section is for you. The best way I heard inflammation described was to think of how your body swells and becomes red and hot when you cut or burn yourself. That’s inflammation. It’s simply your body’s immune response to protect it from harm and begin healing. While acute inflammation (think infections, sore throats, cut, viruses, and other temporary conditions) is a GREAT thing, there is another type of inflammation. And what I had (and what millions of Americans have) is chronic inflammation. This is bad. Really bad. 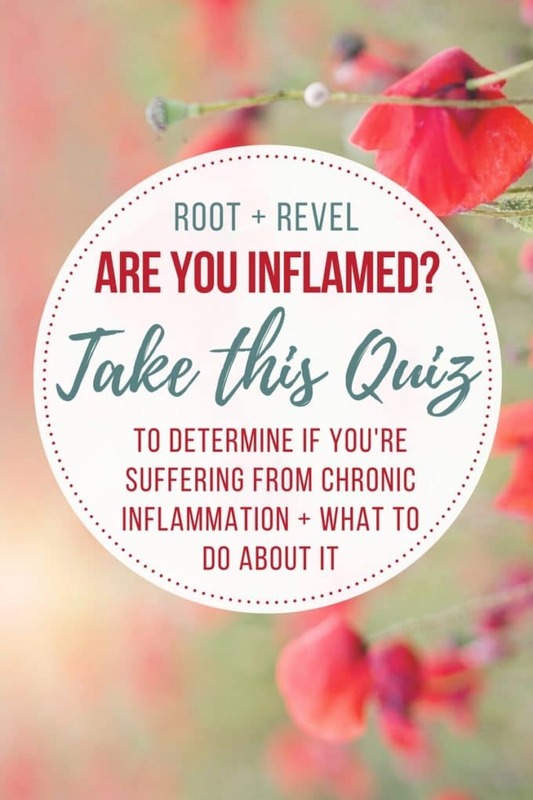 Chronic inflammation, meaning your body is constantly inflamed, can cause a host diseases and debilitating conditions, including rheumatoid arthritis, heart disease, digestive disorders (from IBD and IBS to Ulcerative colitis and Crohn’s disease), asthma, ulcers, sinusitis, atherosclerosis, periodontitis, hay fever, active hepatitis, diabetes, Alzheimer’s and even cancer. Inflammation is truly one of America’s most deadly diseases. That’s why inflammation is SO scary! Though inflammation can cause these more serious conditions, there are some early signs of inflammation you can watch for. While acute inflammation symptoms include pain, redness, immobility, swelling and heat, chronic inflammation symptoms are a little more complicated. But fear not! I’ve created a handy quiz here to help you figure out whether or not your body is inflamed. While it’s hard to pinpoint exactly what causes inflammation (it can be a whole host of things and/or a combination of things), we know that harmful bacteria and pathogens, injury, infections with some types of viruses, lack of quality sleep, smoking, chronic stress, persistent foreign invaders, and overactive immune system reactions all play a role. While some of these things might be out of our control, there’s a big one that is not: persistent foreign bodies, aka FOOD! Or more specifically, harmful food. Of course, it always comes back to food. Or rather, health starts with food. Yes, finally the good news! There is a treatment for inflammation and it’s as simple as changing the way we eat. Think of it like this: the food we eat can either be nourishing or harmful. So when we eat inflammatory foods (deep-fried junk, refined, white flour, excessive caffeine and alcohol, processed food), our body’s immune response flares up = acute inflammation. And when we keep eating that way, it never gets “turned off”. As a result, our cells start attacking our body and causing those chronic diseases we talked about above. But when we eat anti-inflammatory foods, we reduce the inflammation in our body, and thus reduce any symptoms caused by inflammation and ultimately our risk for chronic disease. YES! So what foods are inflammatory? The anti-inflammatory diet: What foods reduce inflammation? Ok before I give you a list of anti inflammatory foods, let’s quickly go over the basics of the anti-inflammatory diet. In short, an anti-inflammatory diet is chockfull of fresh fruits and vegetables. It’s also rich in good fats (like almonds and avocados), lean protein (think beans and fish) and fiber-rich carbs (that’s veggies and whole grains, not refined flours and sugars). It’s very similar to the Mediterranean diet and more about balance than you might expect. In fact, what I’ve found after nearly 3 years of eating this way, is that reducing inflammation in your body isn’t about cutting out entire foods groups and following some restrictive, depressing diet. Instead, it’s centered around this basic concept: eat more good and less bad. 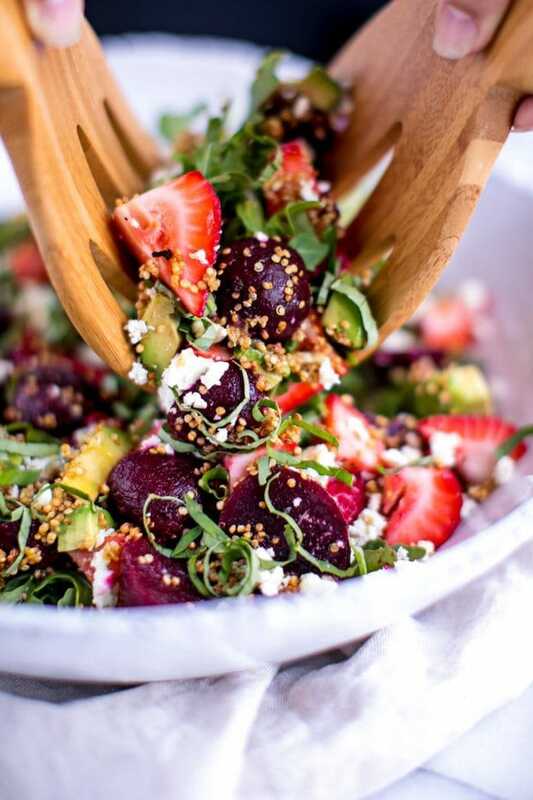 Fruits and vegetables: The key component to reducing inflammation is nourishing your body with phytonutrients from a rotating, rainbow assortment of fiber- and antioxidant-rich fruits and vegetables. I aim to incorporate at least one serving of either fruits or vegetables into every single meal, including snacks. My goal is to eat fruit with breakfast, drink one green smoothie every day (each smoothie typically has 2-4 servings of fruit/veggies in it), a salad for lunch and two vegetables with dinner. It’s important to get a wide range of colors into your diet, so that you’re maximizing your nutrient intake. And buy organic as much as possible to avoid toxic chemicals, pesticides and herbicides that can cause inflammation. Whole grains, especially non-flour and sprouted options. Though 100 percent whole wheat products are a better choice than refined white flour foods, it’s even better to opt for wheat-free whole grains like brown rice, oatmeal, barley, millet, quinoa and amaranth. As much as the food writer in me rolls my eyes when people fake Celiac disease because they think cutting carbs will make them skinny, the truth is gluten does cause an inflammatory response in most people and it’s often best to reduce your intake, regardless of whether or not you have a real allergy. Fermented foods, which are rich in probiotics. Apple cider vinegar, kombucha, kimchi, sauerkraut and miso are some of my favorites. Some yogurt is okay, but see the note below on reducing dairy intake. Bone broth. Bone broth is a nutritional powerhouse that is incredibly rich in minerals (notably calcium and magnesium) and amino acids (protein). Thanks to the gelatin (collagen) and cartilage from the animal bones being simmered over a long period of time, anti-aging bone broth reduces inflammation, heals the gut and boosts immunity. 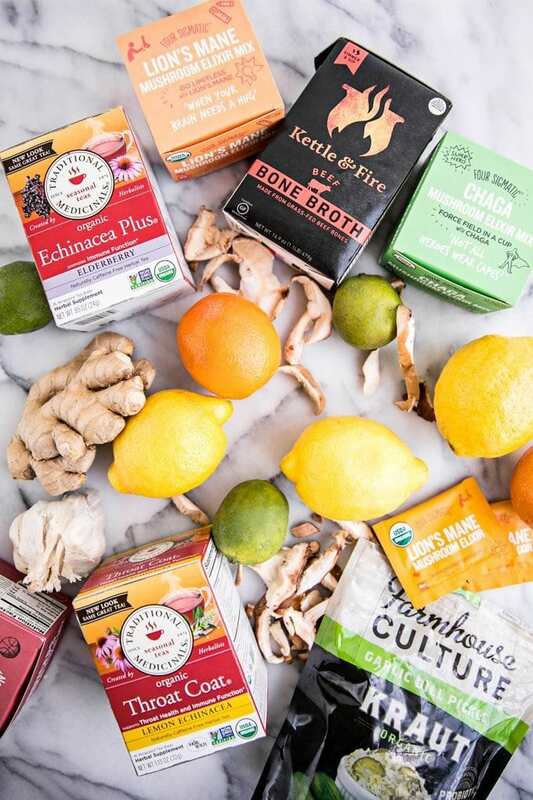 Here’s a recipe to make your own, or pickup my fav brand Kettle & Fire that’s made from 100% organic, free range chicken bones or grass-fed beef, vegetables and seasonings – that’s it! No fillers, additives, etc. Use the code RRHQ15 to get 15% off your order from Kettle & Fire! Beans and legumes. Full of protein and fiber, beans and legumes are a great way to reduce inflammation. I try to eat 1 serving every day–once you start, you realize how easy it is to add beans to almost every dish. Always look for BPA-free cans and containers. Good fats. It’s so important to eat a diet rich in omega-3s (that’s the good-for-you fat), like salmon, avocados, olive oil and nuts and seeds, like walnuts, almonds, flaxseeds and chia seeds. Nuts make a great snack, while flax and chia are perfect for smoothies and salads. Spices and herbs. Though many restaurants would like us to believe that butter and heavy cream are the only way to add flavor to a dish, countries around the world have proven the most flavorful dishes require almost no fat at all. Rather, they’re full of fresh herbs and spices. Some of the most anti-inflammatory options include ginger, garlic, turmeric, cinnamon, chiles, and aromatic herbs like basil, mint, parsley, thyme and cilantro. The anti-inflammatory diet: What foods cause inflammation? Just as some foods reduce inflammation, there are others (those persistent foreign invaders) that cause inflammation. This could be because you have a sensitivity, intolerance or allergy to that food, or simply because the food is unhealthy, full of toxic chemicals, or not easy to digest. Animal products. 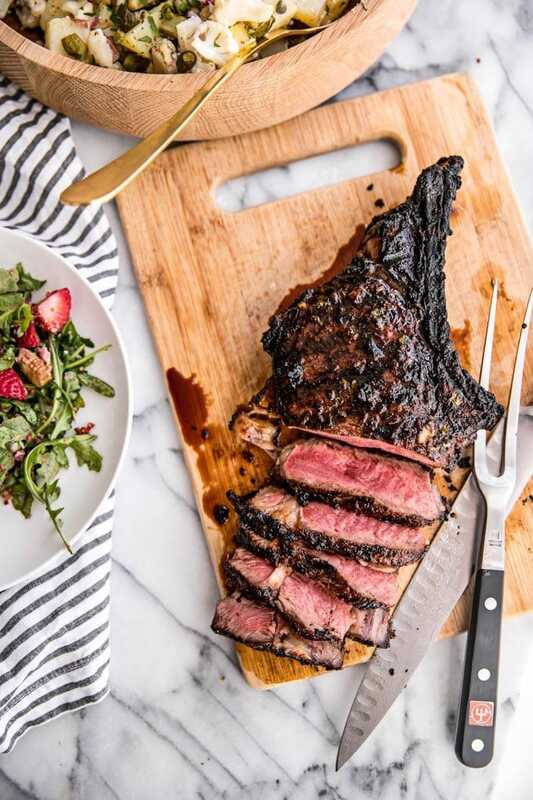 While an anti-inflammatory diet is far from a vegan diet, there’s no getting around the fact that meat, particularly red meat, causes inflammation. I try to eat vegetarian until dinner time and have seafood for dinner three times a week. At least once a week, I go meatless the entire day. When I do eat meat, I go for pasture-raised/grass-fed, organic options from local farms that never use antibiotics and hormones. Just say no to factory-farmed meat. Dairy. Other than a splash of cream in my coffee, I’ve tried to replace all cow’s milk dairy in my diet with nut milks (almond milk or coconut milk are great substitutes). Cheese is incredibly difficult to substitute, as is yogurt, so I just eat those in moderation because…life, ya know? Refined, processed and “fast” foods. We already mentioned whole grains in favor of refined flours above, and the same goes for refined sugars (corn syrup, cane juice, white sugar). Replace with dates, coconut palm sugar, unpasteurized raw honey or agave nectar and keep to a minimum. Flavorings like citrus zest and vanilla extract can add sweetness without any added sugar. Splenda and other “fake” sugars and artificial sweeteners are even worse, so just avoid those at all costs, along with pre-packaged convenience foods (we’re looking at you Lean Cuisine), most bottled fruit juices and sodas and, of course, fast food. Just eat real food. Vegetable + Canola Oil. Whenever possible, opt for extra-virgin olive oil, avocado oil and coconut oil–most other oils are hydrogenated and cause inflammation. This makes fried foods and many Asian dishes particularly difficult to eat on an anti-inflammatory diet plan, as most are cooked in a neutral flavored oil, like canola, soybean or vegetable oils, which are high in omega-6s (the bad-for-you fats). Never ever eat margarine or “fake” butters. Alcohol. This one is tough, but if you can, try to limit alcohol consumption to less than 2 drinks per night. If I know I have a big party or social gathering coming up, I’ll try to go booze-free for a few days leading up to it and afterward, so the damage won’t be as difficult to bounce back from. Caffeine. Another difficult one to minimize, but if you can, try to limit coffee to 1-2 cups per day (never on an empty stomach) or opt for decaf coffee or caffeine-free herbal tea instead. And, of course, no soda. Be sure to wash it all down with plenty of good old fashioned water–staying hydrated is another key component to reducing inflammation. It’s important to note that we all have bodies that are unique with personalized microbiomes, food sensitivities, medical history, etc. While the list above is a great guideline, the best way to really get to know what foods are best for you is to do some testing. 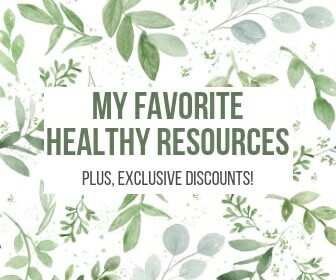 A couple of my favorite companies that provide you with affordable tests you can take at home are Viome for gut tests and EverlyWell for food sensitivities test (EverlyWell also has awesome hormonal tests, vitamin + mineral deficiency tests and more). For more details, read about my first hand experiences with Viome in Metabolism + Microbiome Testing From Your Couch, and with EverlyWell in the posts The Best At Home Health Tests and Women’s Health Tracking Tools to Track Periods, Increase Fertility + Balance Hormones. I truly believe balance is the secret to living a long, healthy and happy life. So while I do eat an anti-inflammatory diet, I also allow myself indulgences in moderation and swear by the 80-20 rule: be as healthy as you can 80 percent of the time, and learn to let go and celebrate life the other 20 percent. Life isn’t worth living without the pleasure food provides, but it’s no fun living with chronic disease, either. Find the balance that works best for you. Cheers! Likewise, food isn’t the only way to reduce inflammation. There are also anti-inflammatory supplements and herbs and lifestyle changes (including tossing toxic products) you can make to reduce inflammation in your body and put yourself on the fast track to your best. « Previous PostThe Truth About Coconut Oil: Is Coconut Oil Really Good For You? I cried myself to sleep last night feeling overwhelmingly discouraged and confused about my body. I was diagnosed with PCOS and insulin resistance two years ago after forcing doctors to take my health concerns seriously. I had dozens of doctors appointments in the summer after my freshmen year of college after not having my period for a year, where physicians told me I might have PCOS but there was no way to prove it and no treatment so I shouldn’t care about being diagnosed. My insulin was tested and my results came back in the pre-diabetic range, my doctors said nothing to me and after I scheduled a follow up appointment they asked me why I was there. I begged for an appointment with a dietitian or nutritionist to get my health back on track and when I became emotional they set up a phone interview with a psychiatrist instead. I was confused then because I have always eaten healthy and exercised regularly but I was hopeful I could reverse the effects. With no help from my medical provider I began to educate myself and read dozens of articles, peer-reviewed research papers, and blog posts. I found out about pro-biotics, and after taking one for two weeks got my period back. I heard about metformin and emailed my doctor to get a prescription to start taking it- I have now been taking it for almost two years and have had zero follow up or any updated blood work done. I began exercising every single day along with walking 5 miles a day. I cut out carbs, an additional stress to my diet as I had already cut my calories to 1,000 – 1,200 a day for the past year. I ate keto for over a year and in the past 10 months now have switched to a paleo diet (completely cutting out diary) but still restrict most carbs. I have had issues with chronic constipation on top of this for years and have reached out in desperation to my doctors after trying absolutely everything (phylum husk, magnesium oxide, miralax, senna, detox teas etc.) and was met with ‘some people just don’t go to the bathroom as much as others, and you might just have to take miralax everyday for the rest of your life’. I tacked on intermittent fasting as well 10 months ago and do a 20 hour fast each day of the week (Monday – Friday) but have nothing to show for it. After restricting myself for so long, trying to push off eating for as long as possible every day, eating as little as possible, and working out as much as possible without losing a pound I feel like there is nothing else to do but give up. I have tried everything and have reached a point of self failure. Last night felt like my point of giving up and accepting that I will never lose weight and will forever be unhappy with my body. Part of me wants to rethink my eating habits, to up my calories in hopes of fixing my broken metabolism or to try cutting out night shades or artificial sweeteners but then another part of me knows I will put in all this effort just to be disappointed. What did you do when you wanted to give up, was there anything you did that helped you lose weight, where should I go next in my health journey? Hi Lindsey – thanks for sharing your story, and I’m so sorry to hear about frustrated you are! I feel you. It sounds like you’re restricting yourself a lot, so first I would say to do your best to relax and not have to follow so many rules. If you’re hungry, eat. Don’t feel like you have to eat as little as possible, or only in certain windows. Your body needs nourishment and not eating enough can trick your body into thinking it’s starving, and it will want to hold on to the weight. I know this may sound counterintuitive at first, but letting go of all that pressure and stress around all this and doing your best to accept where you’re at with your body and health works wonders. I’ve found paying attention to the mental and emotional aspects often works better than all the physical things we make ourselves do. So, focus on self care, things that make you happy, spending time with loved ones, nurturing yourself. Sending you love and best wishes for your healing! I love your website; it gives me hope that I can cure my pcos one day. I also have an endometrial polyp, adrenal, and thyroid issues and I had a miscarriage last year. 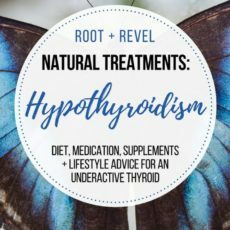 I have been to tons of doctors, herbalists, and naturopaths and I’ve followed their advice for a month or two before throwing in the towel. I don’t know why I have such a hard time sticking to it! I am currently starting with a new naturopath and hoping that I’ll trust his advice and work with him long term. I just hate changing my lifestyle because it feels hard to give up the food I like. I barely have dairy and white sugar though and I have coffee once a day with soy milk, trying to switch to almond. I eat lots of fruits and veggies and mostly complex carbs like quinoa and brown rice. I just never feel any better, my periods are all over the place, my hair is falling out and I have hirsutism that gets worse every month. I feel like a mess. 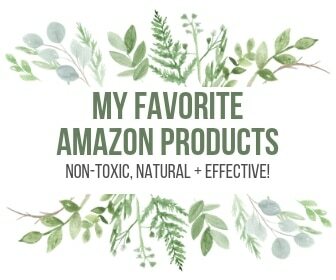 I’ll take supplements from one herbalist and then my husband (who’s a naturopath!) suggests something else and I get all confused and end up doing a few treatments at the same time and never get anywhere. Wow that was long! If you have any ideas of how to have consistency with these changes I’d love to hear. Thanks! Hey Michal – That sounds so tough, and I completely get how confusing it can all be. It’s easy to get disheartened but I find that sometimes you really have to stick with some of the lifestyle, diet and supplements for more than a month or two before seeing results – so consistency and commitment is key. Have you been tested for food allergies + sensitivities? If you’re eating foods your body doesn’t like, that will definitely keep you inflammed and may led to other issues. I also recommend doing whatever you can to reduce stress, create time for self care + nurture, and do gentle movements regularly like yoga, T-Tapp or whatever types of movement you enjoy. Hope that helps some, and really hope to start to find some relief soon! I have been completely overwhelmed by my diagnosis of PCOS, LEAKY GUT, HASHIMOTOS, INSULIN RESISTANCE, LOW VITAMIN D,AND IRON DEFICIENCY. NOT TO MENTION BATTLING WEIGHT. YOUR SITE has given me a since of understanding this battle I think I may now understand. My physician didn’t come close to the info you have provided. You gave me so much info and a starting place. My pity party is over as of now. I’m getting myself in gear and moving forward. Ooh, Tammy – this warms my heart to hear! I am thrilled that you feel more optimistic and have a better understanding of what’s going on in your body. That’s exactly why I started this site – to share info and hope it helps people. Thank you so much for sharing your experience, and best wishes on your healing journey! I was randomly googling and came across your site. I decided to try the Paleo thing and didn’t work well for me at all since I don’t like red meat or any kind of meat that much ( I maybe eat steak twice a year, if that). I’ve been leaning more towards the vegetarian route. Anyways I’m so thankful to have come across your site and all this awesome info. It has really been helpful in changing the way I eat to help heal the inflammation in my body. Great post! I’m loving your whole site. 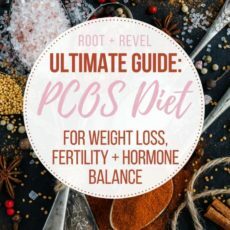 I too overcame PCOS, or at least have minimized symptoms (and conceived naturally!) through a natural lifestyle. This is a great post! I honestly believe that avoiding inflammatory foods has helped me tremendously. Especially when it comes to how my body feels with intense workouts. Trying to get my parents on an anti-inflammatory diet. This post is absolutely informative. it is very important to understand the anti inflammatory diet and also its importance. Especially what should be consumed in this diet. This is such a useful resource! 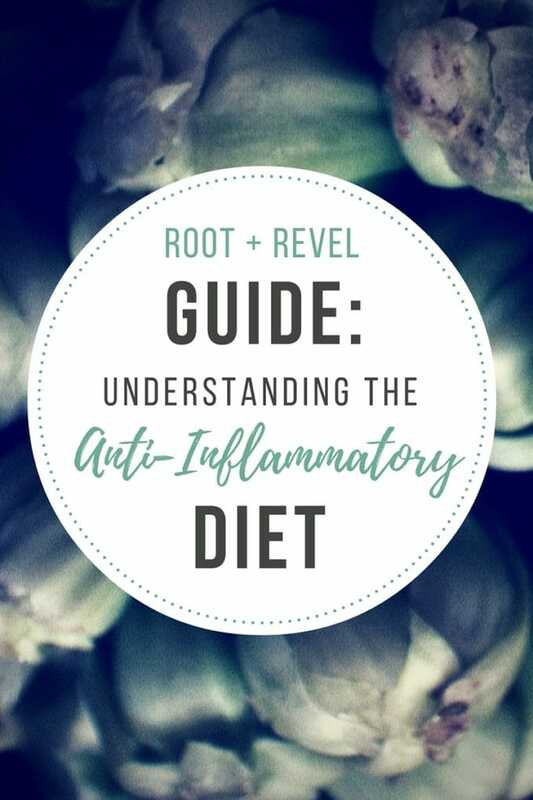 I feel like so many of us have inflammation and don’t know what to do about it, so I appreciate that this post gives great insight with practical approaches for incorporating more anti-inflammatory foods into our lives. Thanks Kate! Love your site! I was recently diagnosed with PCOS in January and I really trying to fix my diet, especially since we are TTC as well. Question for you, with all of my research on PCOS, I see a lot of low carb and Low GI diets. Is this something you recommend or do as well, or can I see great benefits with just eating more anti-inflammatory? Thanks! Hi, Courtney: Thanks so much for the kind words. I don’t really believe in a low-carb diet per say; rather I try to eat primarily real, whole foods rather than refined, processed foods. So that means I don’t eat a lot of flour and sugar, the two primary components of most “carbs”. However I get tons of carbs from whole gluten-free grains and fruits and vegetables. Hope that helps! Wow. I’m really happy to have ran across your site today! I have been dealing with some indigestion issues for well over a month now (in truth it has been coming and going since 2015, but never a spell like this – I do have a dr appt scheduled for this week). In doing some “googling” I discovered that some of the newest research suggests that inflammation might be the cause. It makes a lot of sense because I was recently “diagnosed” (use parenthesis because it is a harmless condition) with geographical tongue by my dentist – which is auto-immune related and has been going on for the past several years with me not realizing what it was. I have been researching different diets and it all seems so difficult because everything seems so all or nothing and with a small child, a busy family, and a bit of a love for wine, chocolate, and good beer I might lose my mind if I had to completely drop everything. It is nice to hear that you have had success with the 80/20 rule. 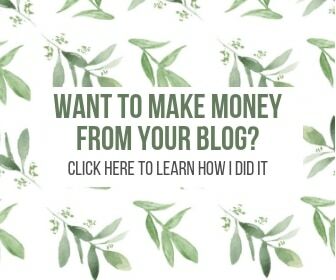 I’m excited to read more and get started using your blog. Thanks! Hey, Ashley! Yes, I am SO glad you’re here, too. Inflammation and an unbalanced microbiome can definitely cause indigestion, as can food allergies and intolerances. I haven’t heard of geographical tongue before, but I’m glad you’re working with a doctor who can help you treat that. Yes, the 80-20 has totally saved me! I hope it helps you, too. I am so interested in trying this out. I have been suffering from IBS C and completely miserable. I have a question though do you eat eggs? Hi, Kristin! I think you will find TONS of healing from following the anti-inflammatory diet. I was once diagnosed with IBS-C (which I honestly think is just code for we don’t know why, but something is wrong with your digestion) and I found that most of my issues were because of inflammation. This way of eating will surely change your life! 🙂 And yes, I do eat eggs. Only organic, pastured eggs though. Do you have a list of foods that you eat. Trust me I don’t do laxatives. I will definitely check out all the information. Hi , was really really glad to read your post.Its mighty useful and I think it will help me a lot.You look a lot like Scarlett Johansen…..And I’m not lying just to make you happy. At 47 it’s very tough for me to loose wt….I’m 80 kg…5ft 4 in in HT.i suffer from constipation and have hypothyroidism and was diagnosed vasculitis 1 year back. Since 7 years I also have pain in joints off and on…..So …..What I’ve read on your site will definitely help me. Aw shucks, thanks for the compliment, Leena. 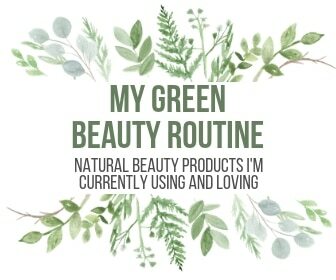 I responded to your email yesterday and look forward to connecting more with you in this community! Great information!! Thanks for sharing! 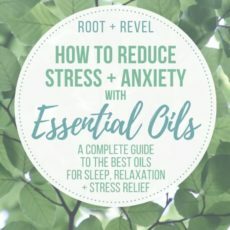 I am following almost all your advise already for adrenal fatigue. Any idea how long each phase might take? or how long your phases were? I’ve been fighting this for a year and expected to be better than I am at this point. Definitely one of the best articles I’ve seen regarding these issues! Thanks again! I’m interested in adopting a more anti-inflammatory diet. My six year old complains frequently of tummy aches and I think it’s a good allergy. Are there any meal delivery services you’d recommend to supplement/jumpstart an anti-inflammatory diet, such as HelloFresh or anything similar? I am AWFUL at meal planning so something to kickstart us would be great. Thanks, Michelle. Do you follow an anti-inflammatory diet, or are you interested in trying it? Would love to hear more about your story!